This post has been nearly a year in the making. 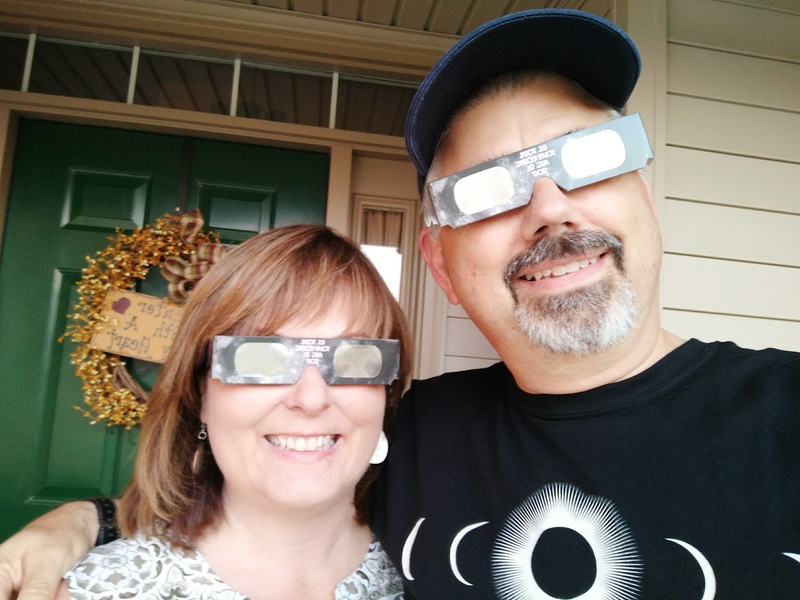 My wife and I traveled across the state of Kentucky on August 21, 2017 to witness a total eclipse of the Sun. What follows started out as a Facebook post I made the night before. 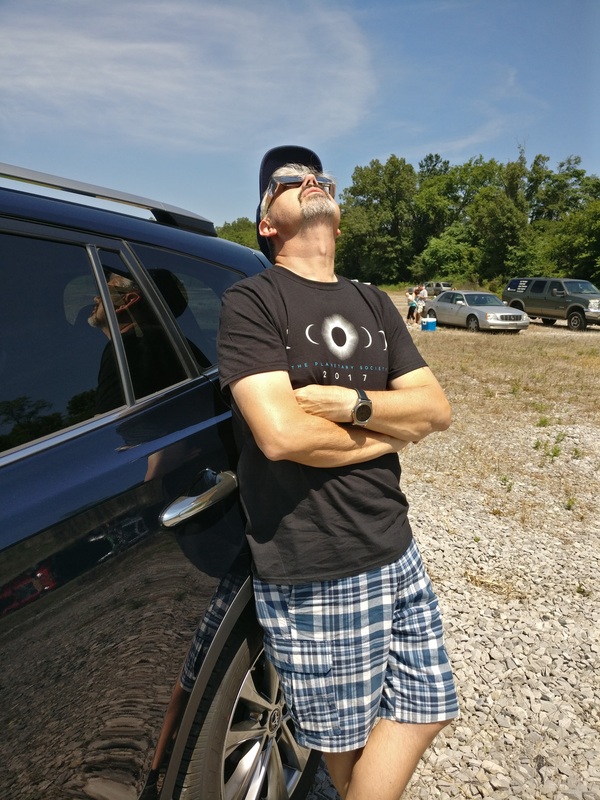 After the eclipse, I jotted down a few thoughts with the idea of re‐working it all into a blog post about our experience. I finally got around to finishing it up this past weekend. It’s a bit long, but I hope you enjoy it. When I was in 9th grade, I took an Earth Space Science class under the capable tutelage of Mrs. Claudette Pelfrey at Wolfe County High School. Although I had fallen in love with space exploration and astronomy many years before — during the Apollo years of my childhood — it was during that first year of high school in Mrs. Pelfrey’s class that my love of astronomy really blossomed. I remember vividly learning about eclipses and how they work. I became fascinated by the thought of witnessing a total solar eclipse. Mrs. Pelfrey had mentioned offhand that there would be a total eclipse visible from the United States in three years, but that it would only be seen in the far northwestern U.S. So I did some research on future eclipses, and was dismayed to discover that the next total eclipse visible in Kentucky wouldn’t take place until August 21, 2017. It was 1976 and I was 15 years old. The year 2017 might as well have been in the 24th century. I did some quick adding in my head and realized that I would be — good grief! — 55 years old on that day! I wondered if I’d still be alive, or if I’d be too old and feeble to manage to get to a place to observe totality. I have witnessed a few partial eclipses during that long wait. They are so cool. To see the sun — normally a blazing, perfectly round ball of plasma — as a moon‐like crescent, is remarkable. Making a pinhole camera to view an image of the crescent sun on the ground or against white cardboard is fun. Seeing thousands of tiny crescents projected on the ground through the gaps between leaves on a pin oak tree is stunning and surreal. It’s the day of the eclipse! We’re excited. But as great as all that is, seeing a total eclipse is a completely different experience; it is orders of magnitude more thrilling. I’d seen many pictures, many videos, and one or two dramatic planetarium shows, depicting that magical moment of totality. But to experience it live and in person — I could’t even imagine how I’d feel. There was a total eclipse near us in 1994. I think the path cut through Ohio as I recall. I don’t remember now exactly what was going in in my life at the time, but I know I had a new job, two young sons, and a lot of unpaid bills. Probably that was the one period in my life where getting to an eclipse, even a few hundred miles away, seemed overwhelming. The late great scientist Carl Sagan, one of the heroes of my youth, wrote of the awe‐inspiring nature of such natural events and scenes as “spiritual.” Sagan was not a religious person and did not believe in the kind of spirituality that believers accept. But his vivid descriptions of the overwhelming feelings of awe and wonder that flood the minds of humans when faced with the incredible spectacles of the cosmos is in fact akin to a kind of spiritual transcendence. This shot was taken using only a smartphone with the lens of eclipse glasses held over the camera lens. Not exactly professional quality. When I told people that I’d been looking forward to this event for 41 years, they looked at me like I was crazy. But it’s true. And then that glorious magical day finally arrived! I felt good for a feeble old man. I was pretty sure I could still do this. And the icing on the cake is that I got to experience this moment — for which I’d prepared for four decades — with the only person I wanted to be with at that moment. The only person with whom I share a bond close enough to enjoy this “spiritual” experience — my wife and soul mate Jennifer. She is not the science enthusiast that I am. But she is curious and loves experiencing new things, and I think she drew energy from my enthusiasm for the eclipse. As the day grew closer, even she was getting excited. On day zero we awakened early, like we always do on Monday mornings. We had a cup of coffee and performed all of our usual Monday morning rituals. And then we left our home together, as we have done for thousands of workdays. 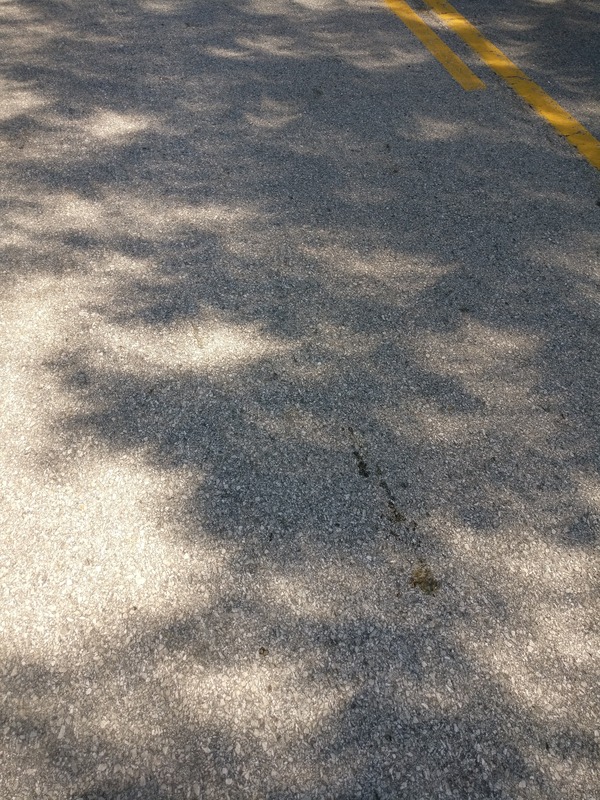 But instead of heading for the office, we turned toward far southwestern Kentucky, to find a nice spot of solitude — perhaps along a little‐used country road in the path of totality. Up until that morning I had planned to set up my DSLR camera and tripod and try to capture some stunning shots. But I changed my mind that morning. I knew there would be thousands of great eclipse shots by skilled photographers with much better lenses than I have. I decided to just enjoy the show and only shoot a few shots with my phone to remember the day. I think it was a good decision. The plan was to get to Hopkinsville, which was near the center line of totality. I had a backup plan in case we didn’t make it that far — we had no idea what traffic would be like. But we actually rolled into town early. We decided to go downtown and take in the circus atmosphere. The streets were lined with people — most there from out of town to witness the event, many others trying to make a buck by selling souvenirs, parking spaces, and food. We got out in a hurry and headed to the countryside. The dim, bluish light is more pronounced in the shot, taken just a few minutes before totality. 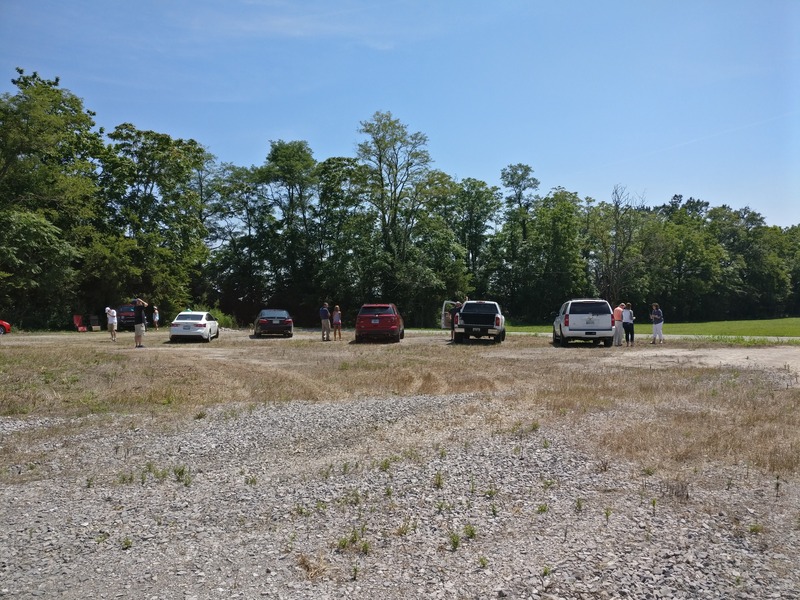 We found a quiet two‐lane road a couple of miles from town and spotted a small gravel lot where about a dozen or so people had stopped. We parked and got out. This was just a few minutes after first contact, so we had plenty of time to just take it easy, talk to some of the other folks, and enjoy the show. The sky was mostly clear when we arrived in the area, but by the time we found our spot, there were a few scattered hazy clouds drifting around the sky. I kept looking at them nervously as the time of totality approached. But we were lucky — the sun never once got obscured during the entire event. As we awaited totality, I walked over to a small grove of trees along the road and observed the phenomenon of thousands of tiny images of the crescent sun projected onto the pavement. The effect is created by the sunlight passing through tiny gaps amidst the leaves, essentially creating thousands of pinhole cameras. As sunlight shines through tiny gaps in the tree leaves above, thousands of images of the crescent Sun are projected onto the pavement below. 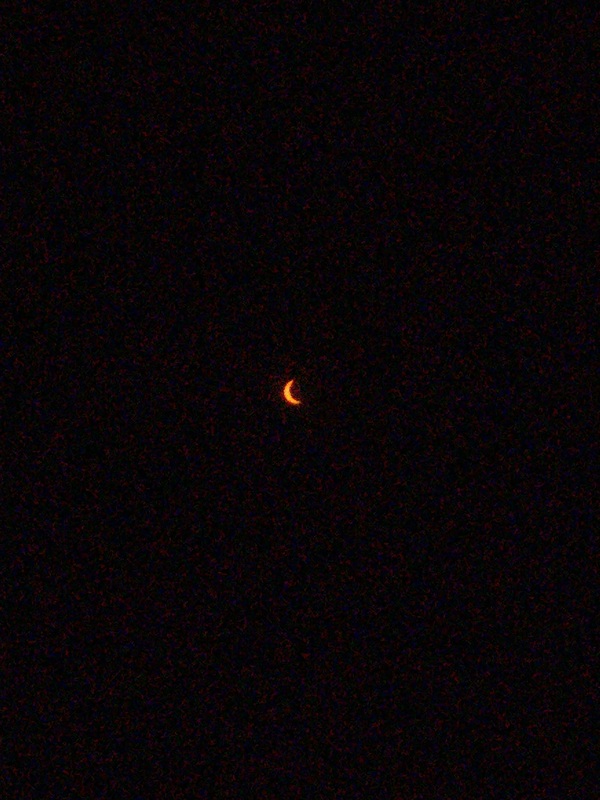 I occupied myself by snapping a few photos with my phone and looking up at the sun through eclipse glasses to check on the progress as the Moon moved slowly in front of the Sun. When the sun was about 75 percent obscured, we began to notice a change in the daylight. It was eerie and surreal. This is something that even those in the partial path notice as well. Sunlight looks oddly different — the effect is not quite like day and not quite night. It’s a dimmer, more diffuse light. It has a bluish hue. About five minutes or so before totality, things got really strange. I don’t know how to describe it. There was a dreamlike quality to everything. There was that strange blue cast to everything. Shadows seemed sharper. The temperature had dropped noticeably. The small band of observers, including us, had stopped chattering and just looked around in awe. It seemed to me that all of nature had paused to see what the strange goings‐on were all about. Totality happened suddenly — the encroaching moon finally reached the point of maximum coverage, and the sun went black. We knew at that point that we only had about two minutes to take in the cosmic spectacle, and we tried to make every second count. We first fixed our gaze to the horizons. There was what I described as a 360‐degree sunset. In every direction, the sky at the horizon was ablaze in pinkish‐red light. Further up in the sky, the stars were out, many of them anyway. Finally we looked back at the spot where the sun had been seconds before and saw the most incredible sight in our lives. Where the sun had been there was nothing but a velvet‐black disk, surrounded by the softly blazing white glow of the Sun’s corona. I had seen pictures of this and thought I was prepared, but I was not at all emotionally prepared for that moment. I don’t mind admitting that I choked up. When the corona first appeared there were gasps of excitement from us and from those nearby, but we all quickly became quiet, completely transfixed by the sight before our eyes. Even the birds stopped singing. Jen and I just stood there in amazement, our arms interlocked, experiencing the most — yes, I’ll say it — spiritual experience of our lifetimes. I spent a lot of time looking up that day. Note the dim daylight and odd bluish tint. And then it was over. As soon as the tiny sliver of sunlight reappeared on the opposite side of the moon, suddenly dim daylight returned and the entire event began to replay itself in reverse order. I think we just stood there for a few minutes trying to process what had just happened. I was more than a little surprised as I reflected on the emotional impact totality had had on me. Despite my knowing exactly what was going to happen, there was a feeling of both exuberant joy, tinged with a bit of primal fear as I had watched the Sun being swallowed up by the Moon. It occurred to me that this was the reaction of a 21st century man, armed as I was with knowledge and tools unimaginable just a century or two ago. Imagine what must have went through the minds of our ancient Paleolithic forebears. They had no modern technology, little information about eclipses, no foreknowledge at all of events such as a total eclipse of the Sun. For most of them, it would have been a once‐in‐a‐lifetime event. They must have been struck with sheer terror, seeing the source of their light, heat, and energy being swallowed up by some unseen object or entity! As I thought about my personal visceral reaction to the eclipse, I felt a bit of kinship with them. I was reminded that, despite all of our knowledge and technology, we are essentially the same people that they were. Physiologically we are virtually identical. I think the feelings of awe and wonder that I felt that day connected me with them in ways I cannot fathom nor explain. This is what it is to be human. Thanks Charlene! I am working on adding a subscribe feature. I’ll let you know when it’s up and running. I also plan on sharing my posts on Facebook, so you should see them there as well. Wonderful wordcrafting of a special event in your life, Pete. Thanks for sharing one of your dreams, come true! You really captured it, Pete. Felt like I was there. The ending about connections across the ages was so true. Wish you would have made it longer!